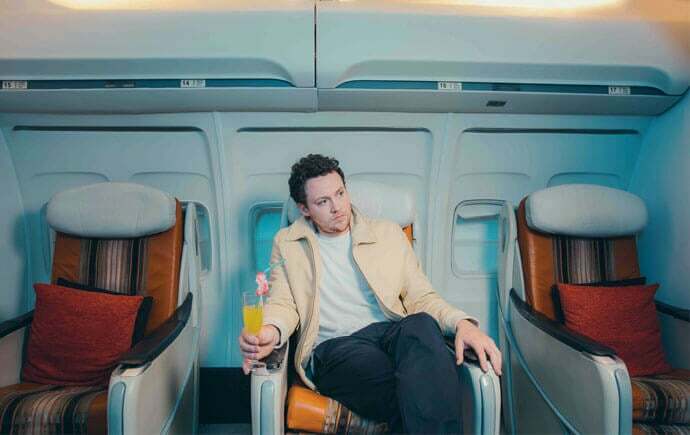 Ahead of their Tramlines headline set, Metronomy’s Joseph Mount tells Jordan Foster how there’s little chance of the indie-pop powerhouse slowing down a year on from the release of their fourth – and arguably best – album to date. How times have changed. Around a decade later the leftfield-pop phenomenon are gearing up to headline Tramlines – South Yorkshire’s most highly anticipated live music event. “The first time we played (in Sheffield) it was a club night, a kind of indie disco in the same mould as Trash in London. It was very good fun.” However, the modern-day Metronomy is almost unrecognisable from the three-piece that lit up noughties clubs with scuzzy dance rock and flashing chest lights. A Mercury-nominated third record revolutionised the band. The trio became a quartet, and sun-bleached triumphs like The Bay and The Look flirted with the mainstream. If early works were a drunken binge on arcade-game krautrock, then The English Riviera was its breezy seafront antidote. In less than three years, their bleeping electro had evolved into a slick, modern day version of Fleetwood Mac. A gradual rise saw the group surpass several fleeting scenes and peers. “There was no way I was gonna let passing fads get in the way of my dream! I’ve always been quite conscious of how fragile your position can be if you’re a musician, so I’ve always tried to steer the boat through it all.” Late Of The Pier and Klaxons may have won the nu-rave sprint, but Metronomy were on a marathon race to the top. I’ve probably got my last chance to prove I’m still cool. I want to make a record which connects with youngsters. To me, I’ve always thought if young people aren’t interested in your music then you should question what you’re doing. But for now he’s taking one step at a time and looking forward to his first long stretch of festival-headlining dates. “I’m very excited. I never used to like talking about live music in this way; but I’ve kind of missed sharing a moment with the people that love your music. I mean, it’s been a long while, so we’re all rather geed up for it all.” And whether you love or loathe Metronomy’s outlandish formula, you’ll struggle to look away from the Ponderosa stage during Tramlines 2017’s conclusive show. They don’t do boring. Metronomy play Tramlines Festival on Sunday 23 July. Tickets are still available here.